If you’ve ever read the plot of a romance novel or romcom, it’s likely you’ve come across the phrase “hopeless romantic” more than once. You may have also stumbled upon this phrase within the lyrics of a love song, while reading the intro of a friend’s Facebook page, or even out of your mouth as a way of describing yourself. And chances are, you may have never thought twice about what this popular expression actually implies. Despite the fact that this common phrase is an oxymoron that appears virtually everywhere, I believe the use of this phrase can also be potentially damaging. By definition, the word hopeless means “without hope”, so why do we often connect an unfavorable word to our deepest romantic desires? Do we(as a society) really have such little faith in our romantic ideals that we must belittle ourselves for being in possession of them? And by doing so, are we not just setting ourselves up for failure and heartbreak by maintaining this bleak outlook on love? I certainly think so. Coming across love isn’t like coming across a puddle in a desert. It doesn’t just occur in love songs, books, and movies. Life imitates art, and art imitates life. Love is alive and well outside of the fictional world. It’s out there, within our own reach. And although I’ve been unlucky in love a few times, that doesn’t make a lasting love unreal or unattainable to me.I believe I would be selling myself short if I bought into the idea that love and romance are a hopeless, unrealistic, and unachievable fantasy. Love and romance are many things, but they aren’t any of these. 2.THE DESIRE FOR LOVE IS NOT (AND WILL NEVER BE) PATHETIC. Somehow, it has become cool to be cynical about love and uncool to be optimistic. But regardless of what the naysayers say, I will never feel foolish for longing for love. It’s possible that it’s easier for the non-believers to scoff at cheesy romance movies and poke fun at sappy love gestures than to admit to themselves that they want and deserve something similar. The fact of the matter is, we ALL do. Whether we like it or not, human nature ignites the inherent desire to love and be loved within us. We yearn for adoration and crave the warm fuzzy feelings we receive when someone treats us as if we are the best thing in the world. And, this longing is far from pathetic. It’s beautiful, natural, and entirely human. It should not be ridiculed. It shouldn’t be considered shocking or silly to do something thoughtful or romantic for someone you love. It also isn’t absurd to want to be romanced by them once in a while.There’s absolutely nothing wrong with wanting an extra dose of romance or adventure with your partner. And contrary to popular belief, being romantic isn’t as hard as some make it out to be. Romance comes in many shapes and forms, you don’t have to do something extravagant to express your love for someone. 4.ROMANTIC DOES NOT EQUAL UNREALISTIC. While the term “hopeless romantic” suggests you have your head in the clouds, being a “hopeful romantic” implies the opposite. A hopeful romantic isn’t disillusioned by false ideals of love.They know that love isn’t all candy hearts and rose petals. They also know that it’s okay to have standards because simply having standards doesn’t necessarily mean those standards are too high. And, when it comes to matters of the heart, it’s always better to set the bar a smidge too high than to aim too low. 5.HOPEFUL ROMANTICS DON’T ROMANTICIZE BAD BEHAVIOR. Hopeless romantics are often portrayed as weaklings who will do anything to find and keep love. But, a hopeful romantic knows when it’s time to let go of a relationship that is no longer loving. They’re grounded in the reality of love and are fully capable of recognizing a good thing while refusing to make excuses for the bad. I’m a hopeful romantic because I refuse to believe romance is dead. I’m a hopeful romantic because I KNOW love isn’t a hopeless cause to fight for. I’m a hopeful romantic because I believe when the right one comes along, he’ll reaffirm the hope that’s been there all along. But most of all, I’m a hopeful romantic because I know life-changing love won’t come knocking on my door if I let myself or others scare it away by doubting its existence. What do you think of the phrase “hopeless romantic”? Sound off in the comments below! 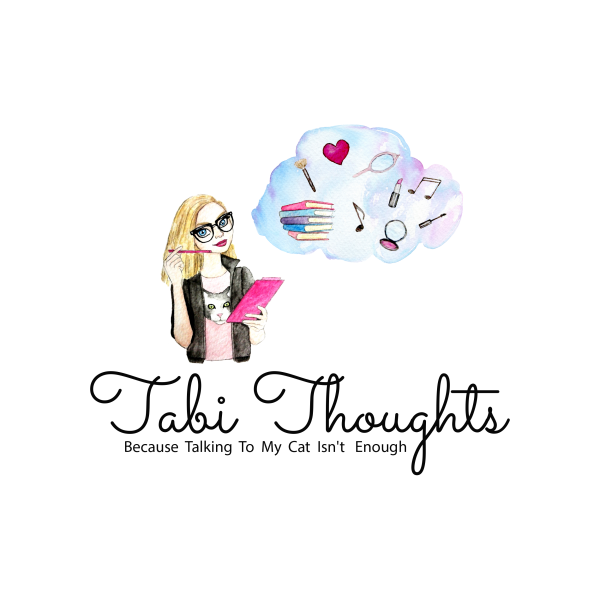 And be sure to like Tabi Thoughts on Facebook to keep up with the many thoughts of yours truly. « Hello world, welcome to my thoughts! Hope! One of the most important words in my vocabulary. Great points! I completely agree with your point of view. When it comes to love, I know people who have become hopeless but no matter how difficult the path to a good love is, one can’t lose hope. Life is hard enough as it is; no sense in making yourself “hopeless”! In my many years here on Earth, I have learned that in the blink of an eye, life can completely change. We must keep our hearts, minds, and souls open to the idea of true love and happiness! YES. Wow, I didn’t realize how much I would agree with all of these! This is so well-written and inspiring. A great perspective for sure! I like the idea of hopeful romantic so much better. Hopeless makes it sound like love will never happen. I definitely agree with this post! I can’t believe how negatively most people view romance and love in general. I bet more people hate Valentine’s Day than those who actually like it… sad! Even if you don’t have a certain special someone, it’s a day to celebrate love!